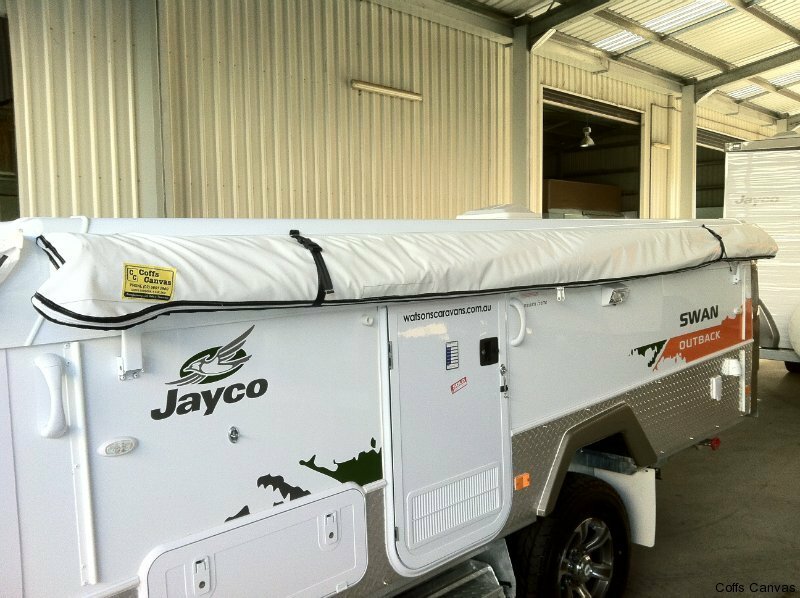 Coffs Canvas has over twenty five years experience in the manufacture of all types of caravan annexes, canvas and vinyl. 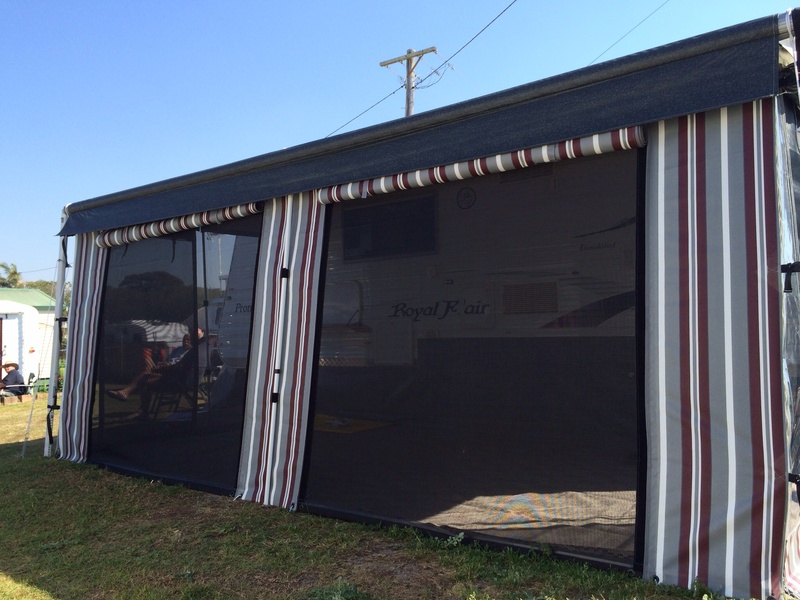 From freestanding annexes for your holiday van to (our speciality) annexe walls for your roll out awning,with optional front verandahs and enclosed rooms. We can also supply and fit roll out awnings, pop-top surrounds, stone guards, window awnings, annexe floors, stone guards ,etc. We can custom make annexe walls to your design in both canvas, vinyl & shadecloth. 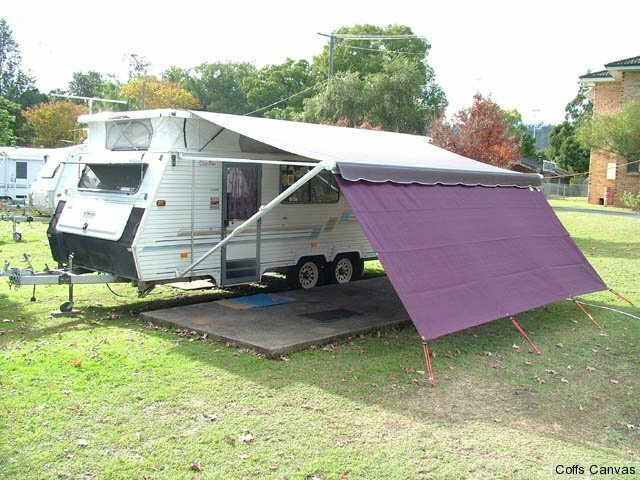 Annexe Walls are attached with our own standard method or using the Aussie Traveller Anti-Flap arms. 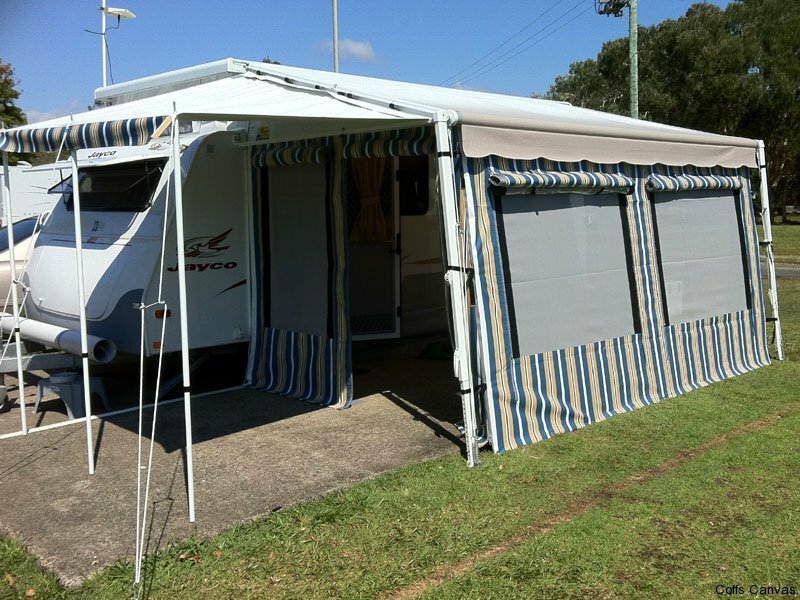 All our walls are flared to 8″ and attach to the caravan with velcro returns.Available in the traditional stripes or the more modern plain colours in both canvas and vinyl.Why not add a front verandah or an enclosed room to the front or back for for added space. From our standard designs to custom designs, we are happy to work with you to build your caravan annexe the way you want. 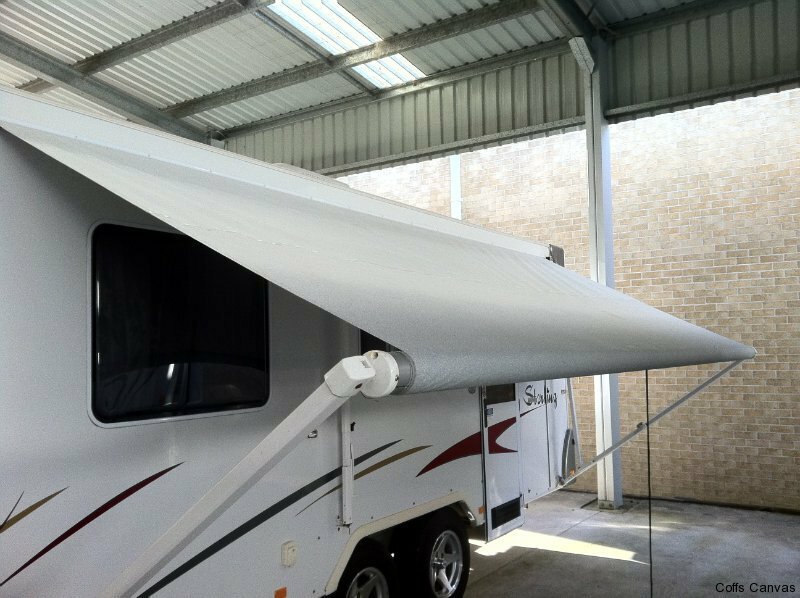 Also available front & rear awnings, extenda-rooms, annexe floors ,or any other accessory you require. Give us 3 weeks notice and we can measure,make and fit your annexe walls in just 3 days if required. See a colour you like? 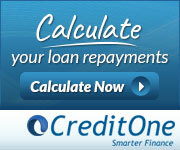 let us know and we can email an enlarged version of the colour. 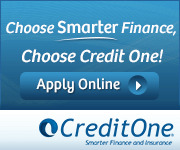 All Workmanship is Guaranteed To the Original Purchaser against all defects for a period of 18 Months. Proudly manufacturing quality caravan annexes since 1987.